Digital Clock – This report when viewed in Window View will show the current time and update each second. Current US Radar – This report will display the current US radar map. If viewed in Window View, it will update automatically every 60 seconds by the use of the numeric parameter, WindowViewTimer. The report can be easily modified to show a different region. Disk Space – This report uses gauges and a script that reads the drive space on disk C and shows disk space used and disk space free. Edit Global and User Parameters – This unique report is actually an interactive form showing how you can change data and update the global and user parameters. Reports are not read only anymore. Get IP – This report will get your current Internet IP address. It will check it against a previous value created by this report and stored in a Global Parameter. If the IP is different, the report runs. If it is the same, the report will not produce any output. This is useful if you want to email or text yourself if your IP changes. This shows you how you can save data to the parameters. Solves dynamic IP issues. Get Web Page – This report shows you how easy it is to capture a Web Page and load the HTML into a Rich Text Control. Hurricane Report – Captures an image from the internet. 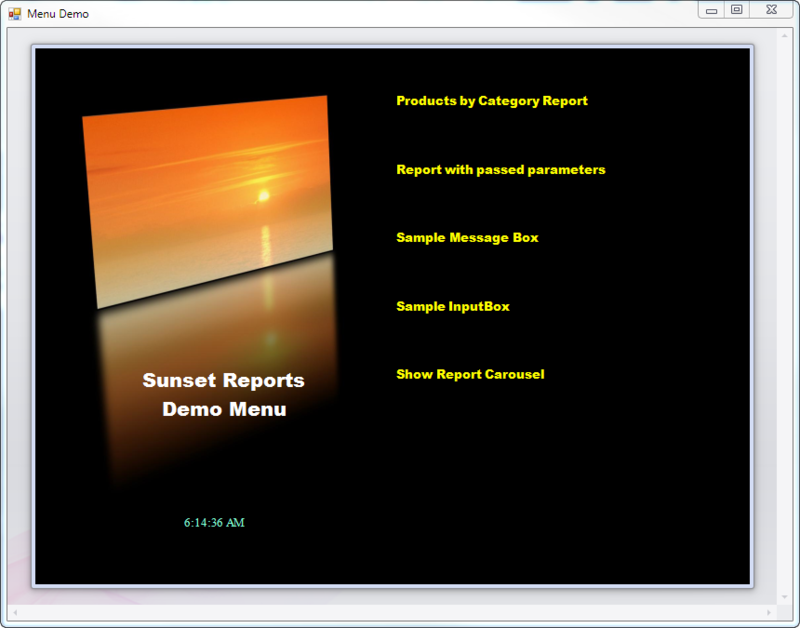 Main Menu – The report is actually a customizable main menu for Sunset Reports. You can use this as a starting point for your own menu. Make sure you set the preference for the starting form to be “Main Menu Report Definition”. If you need to get back to the regular program interface, close this menu holding down the Ctrl key. Photo Album Slide Show – This report shows you how to display all the images in a folder in a report. The script contains the code to create a file list from the parameter “Picture Folder”. The file list is stored in a file named Index.XML. 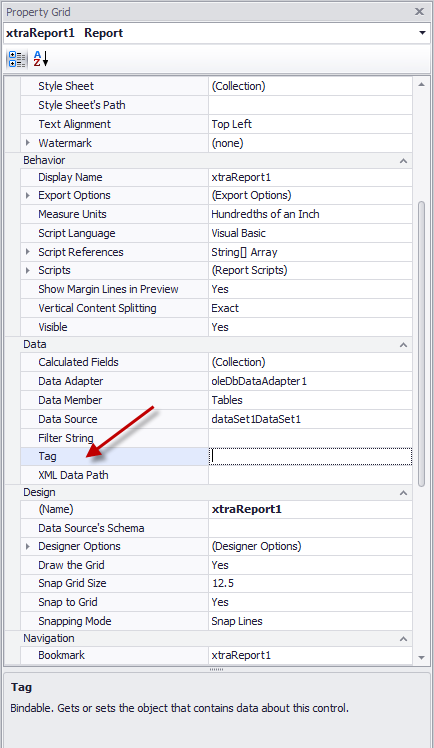 This file is then used as the data source by using the report parameter XML Data Path. You can change the design of the report to show one picture on a page. Then using Window View, the pictures will cycle. 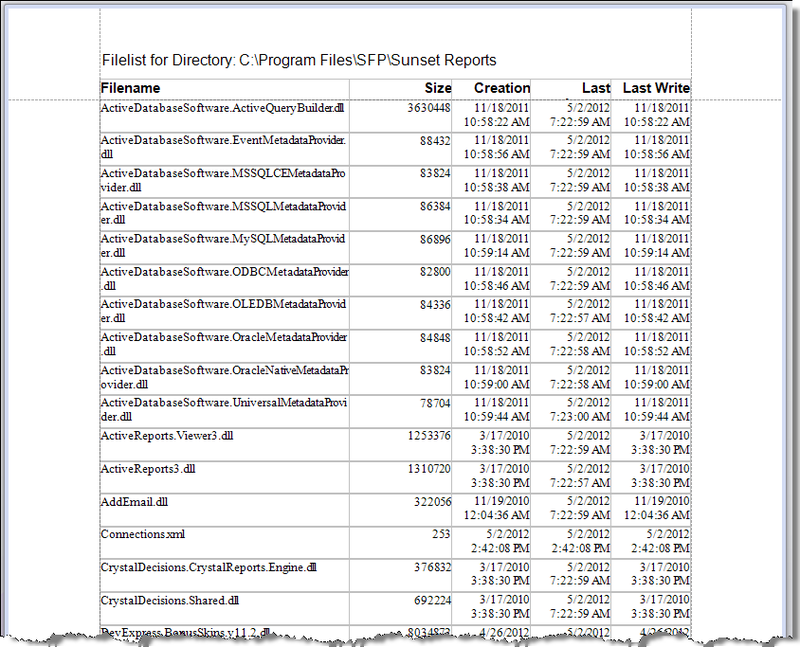 Here is a sample report with a script that will list the contents of a folder on a hard drive. First start with a blank report. It will be unbound (no data source). The data source will be created in a script. On the report add a table and name each cell as follows: Add a second table in the report header to name the columns. And then finally add a label control for a title. Now for the script that will run this report. You set the variable “directory” to the folder you want to get a file list of. You can modify this so it is a report parameter, but to keep things simple now, just hardcode the folder. 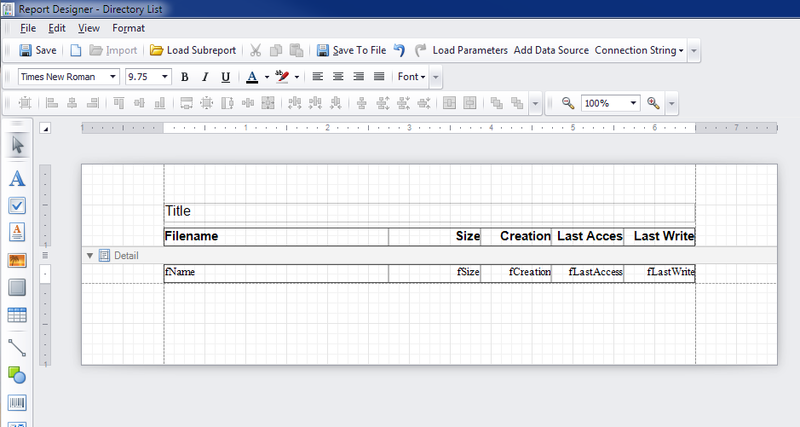 The rest of the script creates an array with file information and assigns the array to the datasource of the report. Then each cell in the table needs to be bound to an element of the array. Finally the title is set to the string variable “directory”. 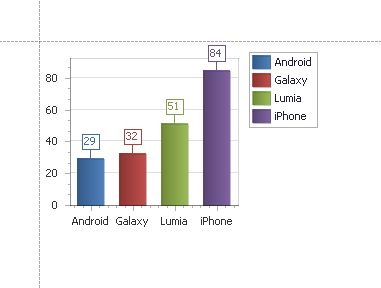 You can download this sample report HERE. Within the Sunset Report’s report designer, each object has a “Tag” property. This property allows you to add some unique information that can be accessed via scripts. This could be an id, or actually a data field if the report has a data source. With this tag property all kinds of possibilities exist with scripts. If you add a table control to your report, you can have the table work similar to a spreadsheet like Excel. You can add rows and columns. Each cell can be formatted independently. You can put text and numbers in each cell. You can link a cell to a field in a data source. The harder part is dealing with formulas. But there is a simple method for that. Each cell can be named and you can change the default name to anything you want. So you can give them meaningful names. Then the formulas are placed in the scripts on the report before print event. The formulas would be written in vb.net, C#, or J-script. And with the programming constructs like looping, conditional if then else, case statements, etc., plus all the functions available. 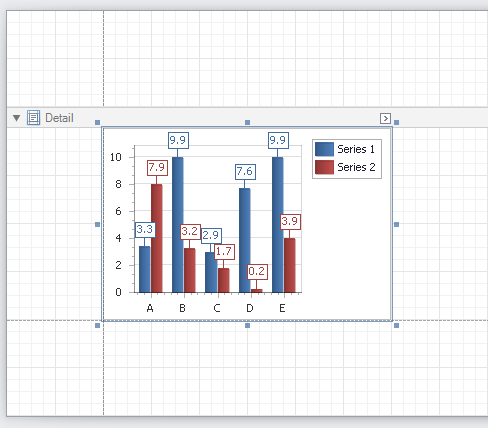 You can have the calculations even more powerful than your typical spreadsheet software. To view the results of the calculations, just run or preview the report. The cells contain a text property and it needs to be converted to numeric in code so you can do calculations. The csng function does this and converts the text to a single precision value. You need to refer to each cell with the “.text” property.